October is Global Diversity Awareness Month, a perfect time to learn more about unconscious bias and how we all can work together to foster an inclusive, dynamic workplace. Whether we realize it or not, our life experience creates bias in everything we do. Before you even started reading this article your brain already made several decisions about its content – even assumptions about me, the author, just by simply reading the headline. But, don’t feel bad, everyone does this — myself included. This cognitive process is what psychologists call “unconscious bias,” which can become very problematic in our ever-growing and diverse workplace. Since early childhood, our brains try to make sense of the complex world around us and the people who are — or who are not — part of our daily lives. Along the way, these “quick judgments” about people led to something that scientists call "unconscious bias," or beliefs or stereotypes about groups of people. For an in-depth explanation, The Royal Society, an independent scientific academy in the UK, explains how the unconscious mind uses shortcuts, based on an individual's personal experiences, to jump to conclusions — conclusions that are often wrong. The good news? There are many ways we can gain better control over our unconscious minds. The first step is for each of us to understand that unconscious bias exists. 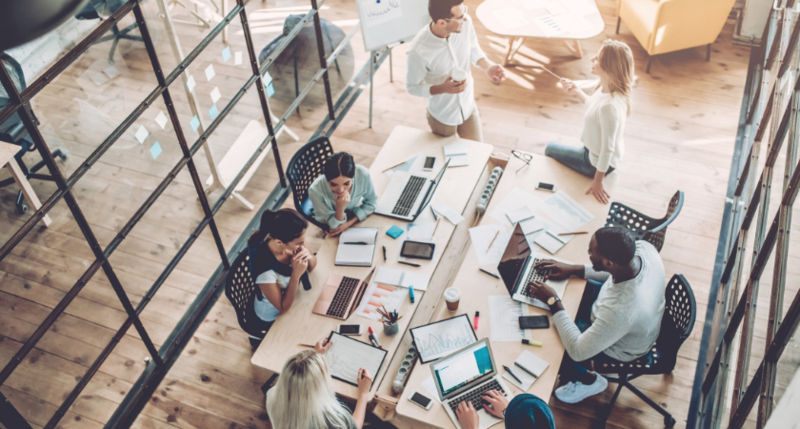 It’s important for human resources and employers to come up with effective strategies to help teams remove those stereotypes as they work for the greater good of the company. If you work in a large corporation, you are most likely surrounded by a diverse group of colleagues, many of whom you may not be able to identify with immediately based on your past life experiences. You may work with people of different races, ethnicities and nationalities, religious or spiritual beliefs, political viewpoints, sexual orientation and gender identity, physical abilities, socioeconomic backgrounds, ages and more. Here’s a quick exercise, as I named the various demographics of these of people, you may have immediately come to some assumptions or stereotypes about each group. Did this occur? How does that make you feel? Unconscious bias is even more complicated. According to leading scholars at the University of California, these assumptions usually do not match up with someone’s core values system. Therefore, the unconscious needs to become “conscious” for all of us as it can be detrimental to productivity, one’s personal development and the overall company culture. There is a reason the U.S. Equal Employment Opportunity Commission was founded over 50 years ago. It was designed to prevent bias, unconscious or otherwise, from impacting who companies hired. Regardless of race, gender, religion, disability, sexual orientation, or age, the commission works to ensure all job candidates be considered for a position. Many African-American candidates have reported that “whitening” a resume results in a job interview. Candidates of color who removed any evidence of their race (e.g. using an initial instead of one’s birth name) were called in for an interview 25 percent of the time, compared to those who didn’t “whiten” their resumes, of whom only 10 percent were invited for an interview. Despite the efforts of the modern women’s rights movement, women continue to lag behind men when it comes to promotions and raises. For every 100 women promoted to a manager position, 130 men are promoted. As we continue to see a growth of employees who self-identify as part of the LGBTQIA community, a new study shows that having a voice that hiring managers perceived as “gay” or “lesbian” may affect one’s likelihood of being hired or promoted. The above examples demonstrate how unconscious bias continues to greatly affect today’s workforce. Individuals who experience the bias can feel marginalized and unhappy. These undervalued employees are more likely to seek employment elsewhere. This leads to a less inclusive culture, lowers team morale and reduces employee retention. As mentioned earlier, the first step is acknowledging that unconscious bias exists in the workplace. Once we do that, there are many ways to mitigate this bias. Know the current state of company culture: To overcome unconscious bias, it must be a two-way conversation between staff and senior leadership. Executive teams must support, honor and respect the need of a diverse workforce. In addition, companies must strive to learn the best ways to maintain an open and honest culture. Training needs to be active and engaging: This is not a two-hour PowerPoint presentation. Addressing unconscious bias needs to be ongoing so that new hires and established employees can continue to be educated on the importance of diversity and acceptance. Companies should be sure to listen to what training strategies resonate most with their workforce. Keep this inclusive at all levels: If planned carefully, training can go a long way if companies ensure all employees participate. Many argue that training is ineffective, but it’s all in the approach. It should be strategic and aim to achieve long-term results. Unconscious bias will not be solved in a day when attempting to retrain years – even decades – of unresolved stereotypes. Connect in other ways beyond training: Finding other ways to connect employees who wouldn’t otherwise spend time together can also break down barriers. Some companies have implemented a mentoring program that pairs together employees to help one another. Take a deep-dive into workplace programs – how does your company communicate equity and diversity? Are there affinity (or employee resource) groups that support open and productive conversations? Do employees understand the company’s values? Ultimately, does your company practice what it preaches? Remove bias beginning at the hiring process. Companies need to ensure that job descriptions contain no indication that a particular gender or type of person is preferred for the role. If possible, several members of a team should be involved in the hiring process ranging from the application review to phone interviews to face-to-face discussions with job candidates. Teams can stay in-check by keeping each other accountable. When companies address their unconscious bias, they immediately open up to qualified candidates, regardless of background, and retain the competitive advantage of having top-notch staff. Remember, potential employees are interviewing the company too: If they sense that their race, gender, sexual orientation, disability, religious beliefs, or age is an issue for a company, they will not be receptive to work in a place that innately discriminates against them – and they will share this experience with peers, family and even social media. When people see past their immediate judgments and unconscious stereotypes, they can collaborate and work together more efficiently. A company needs people with a diverse set of skills to complement one another. We can’t — and shouldn’t — be cookie cutters of one another and maintain archaic homogeneous ideas and principles. It’s our differences that are our strengths. In fact, studies show that people with different experiences and backgrounds can provide more variety in perspective, and therefore be more successful at problem-solving as a group. It may be impossible to completely remove unconscious bias from the world — or the workplace — but it’s the responsibility of every employer and of every Human Resources practitioner to develop strategies to combat this all-too-common issue. It has the benefit of both being the right thing to do, and it’s good for business. Whitney Benner is the Chief HR Officer for Cision. In her role, Whitney is responsible for developing and executing human resources strategy in support of the overall business plan and strategic direction of the organization, specifically in the areas of succession planning, talent management, change management, organizational and performance management, training and development, and compensation. Whitney was previously Senior Vice President of Human Resources for PR Newswire, where she set and implemented Human Resource strategy in support of the company’s overall business objectives. Before Whitney joined PR Newswire, she held human resources leadership roles at Medialink and MJI Broadcasting. Whitney holds a Bachelor’s degree from Skidmore College.